Unlock the transcendent potential of your music with Harmonix Music VR™. From a wacky dance party, to 3D reactive art, a psychedelic trip, and even a nice relaxing alien beach, Harmonix Music VR has it all. Harmonix Music VR is the next evolution of your music library. Launching exclusively on PlayStation®VR this October. The Harmonix Music VR soundtrack features 17 music tracks, including songs from the cult classic beatmatch rhythm game Amplitude™, A City Sleeps™, and hand crafted music from Harmonix’s very own, M-Cue. 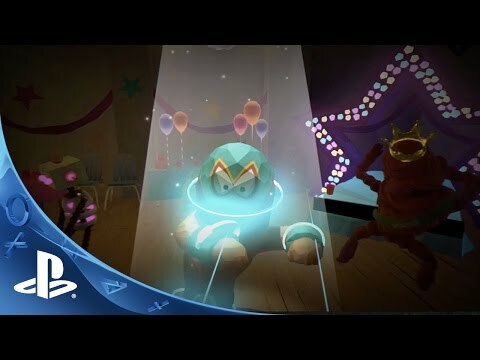 Harmonix Music VR also works with any song in your PlayStation®4 music library! Plug in a USB flash drive loaded with your favorite songs and Harmonix’s internal music analysis engine does the rest. ©2016 Harmonix Music Systems, Inc. All rights reserved. Harmonix Music VR, Harmonix, A City Sleeps, and all related titles and logos are trademarks of Harmonix Music Systems, Inc. Amplitude is a trademark of Sony Computer Entertainment LLC. “PlayStation” is a registered trademark of Sony Computer Entertainment Inc.